After a night of very welcome persistent rain it was questionable that anyone would make the flight to Mabalingwe for the EAA chapter 322 breakfast fly-in. Clive King a chapter member had gone to great effort to organise the event while on holiday at Mabalingwe, he monitored the weather from that side and gave constant feedback on to all the pilots via a Whatsapp group set up for the occasion. After a lot of discussion the pilots agreed that the conditions were safe with a cloud base of approximately 2000ft AGL and it seemed to be clearing well. Flying to Mabalingwe was a real treat, seeing the amount of surface water after the rains, I can just imagine the relief the rain has brought to the famers in the area. While we were on our way we were fortunate to see some Golden Wildebeest they are very rare and absolutely beautiful. Mabalingwe's runway is an 1100m tarred strip that serves as part of the entrance road. Landings are by prior arrangement only and the road is temporally closed off to accommodate landings and take offs . 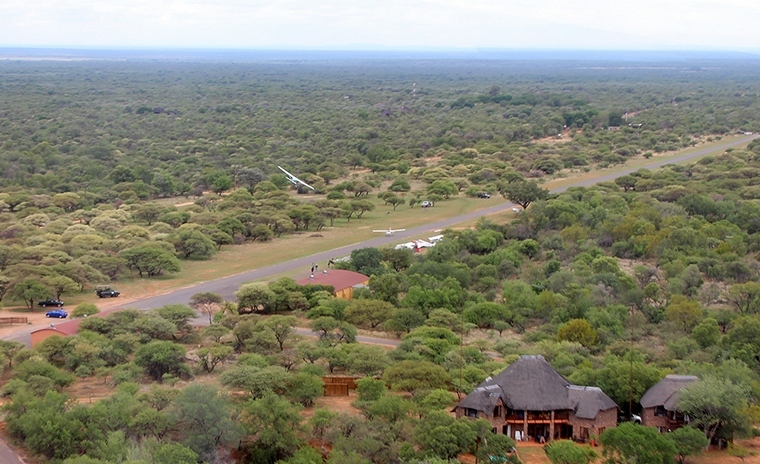 As the runway is four kilometres from the main complex transport has to be arranged, which was in open game drive vehicles through the well-stocked 12500 ha game reserve. Mabalingwe Nature Reserve, Latitude: 24° 50' 971” S Longitude: 28° 02' 553” E nestles in the shadow of the majestic Waterberg Mountains at 3800 feet and is the ideal get away from Gauteng whether for a quick day visit or a weekend hide out. The reserve is rich in abundant bird and animal life, including Africa's “Big 5”. Being Malaria free area makes it a real pleasure to visit. 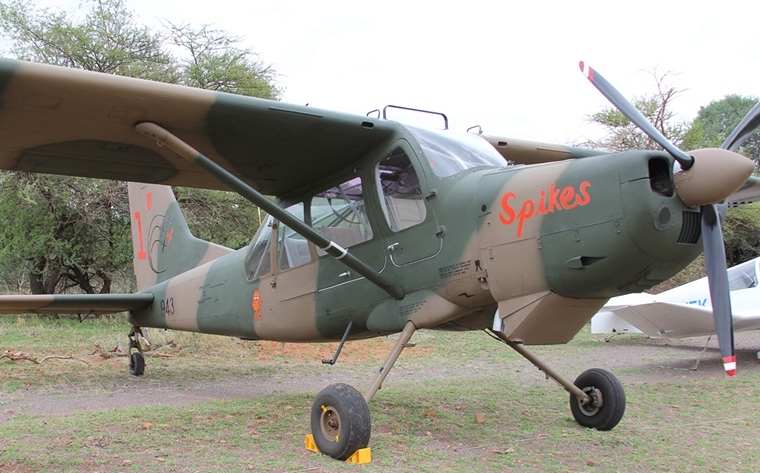 A total of eleven aircraft flew to Mabalingwe, some from as far as Vereeniging. Considering the initially unfavourable weather conditions and the time of year this was a good turnout. 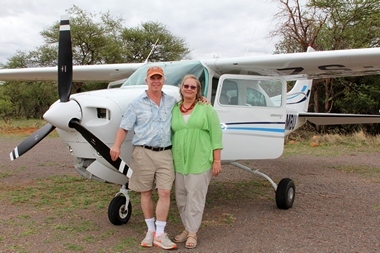 First to arrive was Jeremy and Ann Woods accompanied by Hugh and Sheray Woods in their beautiful Comanche, followed closely by Rob and Vera Jonkers in their Cessna 210. Next to arrive was the formation of Bosboks, They arrived after doing a scenic flight all the way to Nystrom. The ever present Karl Jensen was kind enough to offer David Toma and his brother George a lift after their Sling 2 had an electrical snag. Karl was also accompanied by Neil Fenton. Greg Clegg and I made the trip in his stunning Jodel D11. 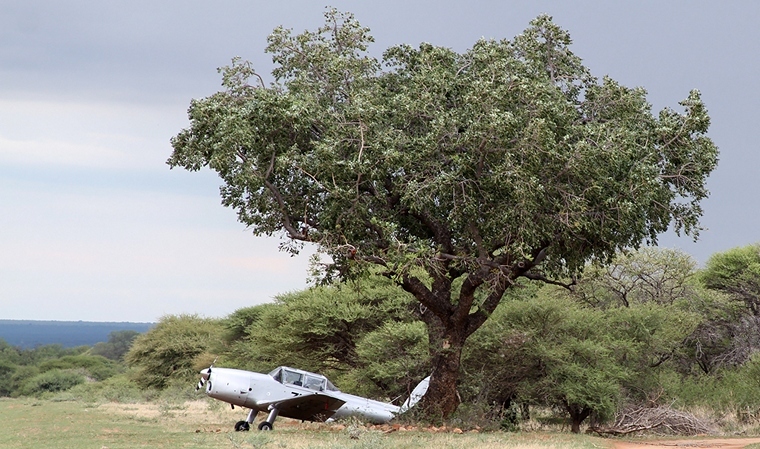 Brian Appleton and Ralph Hurwitz Arrived in one of Brian's Chipmunks and for some reason decide to park her under a large Marula tree, maybe Brian was anticipating the need to work off the delicious breakfast served at Mabalingwe's restaurant. Nico Brandt, Marie Reddy and Mike Haupt joined the party in Mikes Maule fortunately there was no need to show off the STOL capabilities of this amazing aircraft with ample runway at their disposal. The rest of the party was made up by Fannie Bezhuidenhout in his Jodel and Chris Linakis who was kind enough to bring Trixie Heron along in his Colombian built IBIS, with the very apt registration of ZU-IBI. And talking about apt registrations Andrew (Ace) and Kerry Evans arrived in their RV8 ZU-ACE. 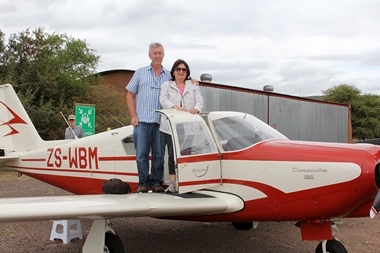 Mark Clulow made up the final number in his Jabiru.